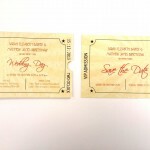 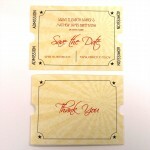 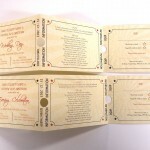 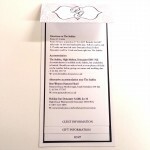 The bespoke wedding invitations we provide take your wedding print to a whole new level. 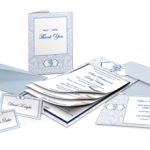 It can bas as basic as having a fold or using card and photos to give it a layered effect or it can be as complex as your mind can imagine. 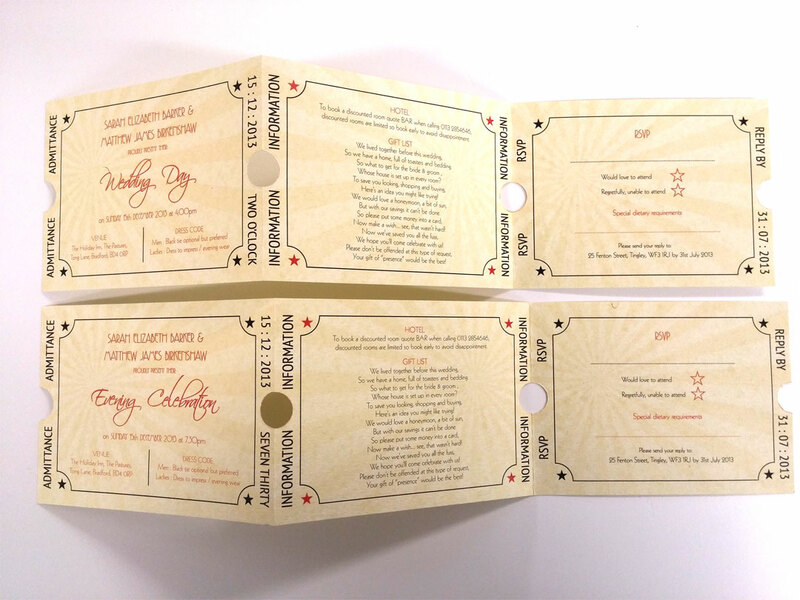 We can have cards that fold out to reveal the content, layered invitations that peal back to reveal more and more information, or invitations made to look like tickets or records in a wallet.